Today artificial intelligence (AI) is used in healthcare (diagnostics), automotive (self driving cars), finance and economics (financial trading), video games (non player characters), military (lethal autonomous weapons), advertising (personalised promotions) and, not to forget: Art (Thinking Machines: Art and Design in the Computer Age, 1959–1989). To get a better picture of artificial intelligence it helps to look at the term intelligence. As feared, the definition of intelligence is controversial. A group of researchers tried to find one in the year 1994 and published a public statement called „Mainstream Science on Intelligence“ with 25 conclusions. This definition seems to be a good summary. Intelligence is a very general mental capability that, among other things, involves the ability to reason, plan, solve problems, think abstractly, comprehend complex ideas, learn quickly and learn from experience. It is not merely book learning, a narrow academic skill, or test-taking smarts. Rather, it reflects a broader and deeper capability for comprehending our surroundings—“catching on,“ „making sense“ of things, or „figuring out“ what to do. Now add „artificial“ to this definition and you might have a better idea. It’s about intelligent machines. When it now comes to the possibilities and possible perils of artificial intelligence there are lots of opinions out there. From the end of the world to the ultimate bright future everything is possible. […] attempting to distil intelligence into an algorithmic construct may prove to be the best path to understanding some of the enduring mysteries of our minds. Demis Hassabis – Deepmind (2012) – Is the brain a good model for machine intelligence? So basically it still seems a bit unclear and sometimes contra-dictionary what AI is about. But so far everyone understood that AI will change a lot. In most business related cases people are talking about machine learning instead of artificial intelligence. Their main goal is to analyse data in a better way. The idea behind is easy. The more data you have, the more „intelligence“ is somewhere inside. Kai-Fu Lee seems to be right, when he says, it’s all about the amount of data, the AI algorithms and the connection to business logic. Clive Owen summarises especially the connection to business logic in a nice way for SAP. For companies the outcome is important and there must be a way to use all this data to actually „do“ something. Usually when a programmer writes code, they code is kind of static. The program is only able to execute the different commands. If the program has to work differently then the programmer has to change some commands. The programmer is in full control of the outcome of the program. Now imagine a robot that is able to walk. It goes somewhere and there is a tree. How does it learn to go around that tree? The program that’s inside the robot must be somehow different. It needs the ability to learn on the fly and to change it’s behaviour when necessary. This different programming approach are called artificial neural networks. The programmer create a foundation (the neural network) and the program itself learns by creating weighted relations. The problem is that the programmer can only provide the foundation. The next big step is to apply these neural networks to the tasks you wish to optimise. They have to learn! Raia Hadsell from the AI company DeepMind (now owned by Google) describes it in an understandable way using Atari games. To solve a complex problem with AI it has to be divided into smaller pieces. Each smaller piece is easier to understand. 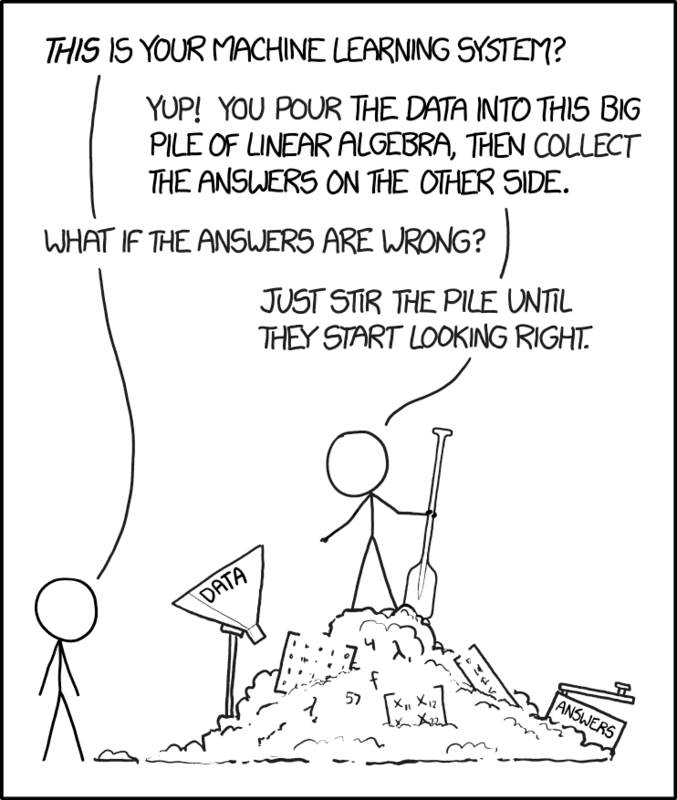 And if the algorithm knows the way to solve some tasks, the next step is to combine them and go for the whole problem. If it’s possible for algorithm to solve the complex problem there should be a way to remember the decisions taken otherwise it has to learn again when the problem occurs next time. Now imagine these type of algorithms in a business environment. When you think of the automated logistics of a warehouse or a container terminal it’s simply awesome. Even if you not agree to Mark Zuckerbergs quote above in general, it is not hard to predict that the combination of your business data and AI algorithms makes a lot of sense and probably the world will survive. There are already plenty of examples for intelligent products and services using machine learning algorithms. I want to mention a few to get an idea how common AI already is. Consumer goods: The „invention“ of Cherry Sprite, the Roomba vacuum cleaner and the AI enabled Barbie. Manufactoring: Every car manufacturer is working on self-driving cars on level 5 (fully automated): Who’s Winning the Self-Driving Car Race? How can my company integrate machine learning? 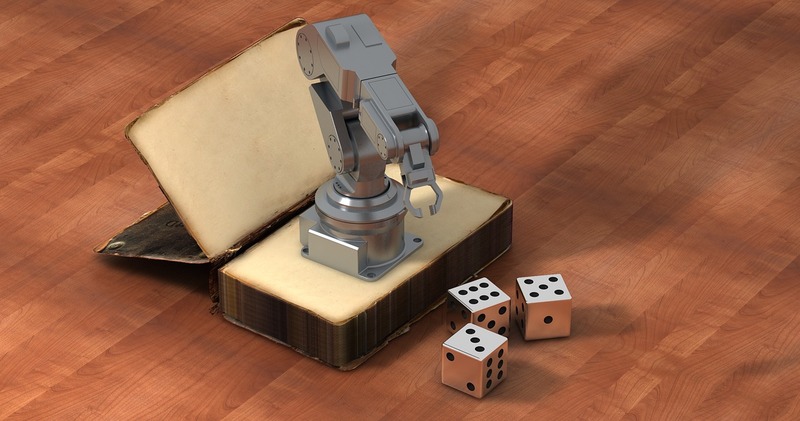 Every company should know how machine learning can optimize existing solutions. You don’t have to be an expert in machine learning to use every intelligent application. Machine learning is already integrated into SAP products such as Concur and SAP S/4HANA and, using the SAP Leonardo Machine Learning Foundation, every SAP partner or SAP user can connect and implement readily prepared services, and use their own models to create intelligent applications. SAP Cloud Platform is the foundation for the development and distribution of all types of intelligent application, and for high-performance operation. As a result, machine learning technology is available and many companies have found approaches to use it effectively (read more in the SAP News Center: What is Artificial Intelligence?). These types of algorithms transform your business into an intelligent enterprise that uses all it’s data.